Looking for the best property deals in Scottsdale Country Club. I can get you started today with the latest listings. Contact me for details. Want the latest list of Scottsdale Country Club homes for sale? Find it here. Updated frequently throughout the day. Enjoy these homes for sale in Scottsdale Country Club for around $1,100,000. I feel, moving to Scottsdale Country Club is a great choice. Whether your moving across town, or from out of state. I can help you make the move a little smoother. Put my knowledge of the Scottsdale Country Club real estate market to work for you. Let me be your Scottsdale Country Club real estate professional. 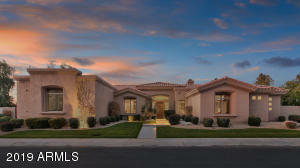 I will help you find your dream home in Scottsdale Country Club. Remember, if you like any of these homes. I can schedule a time to view the homes with you. Contact me, Cindy Robinson.